Rainbow bundle value pack of Compatible Brother TN346 printer toner cartridges. One (1) each of Compatible Black, Yellow, Cyan & Magenta (tn-346bk, tn-346y, tn-346c, tn-346m) toner cartridges. 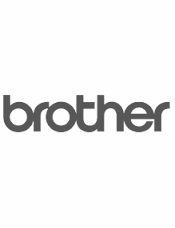 Compatible Brother TN346 Printer Cartridge Page Yields : Black toner cartridge 4,000 pages. 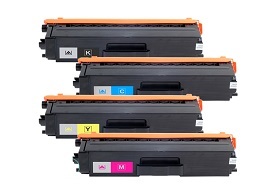 Colour toner cartridges, Yellow, Magenta & Cyan 3,500 pages per colour cartridge. Manufacturer and print quality guaranteed Compatible TN346 toner cartridges for Brother colour laser printer models HLL8250CDN, HLL8350CDW, MFCL8600CDW, MFCL8850CDW. HL L8250CDN, HL L8350CDW, MFC L8600CDW, MFC L8850CDW. There is an alternative cost effective guaranteed quality printing solution available with our Brother TN-346 Compatible value toner pack. Equivalent toner load / page yield capacity to Brother new TN-346 colour printer toner cartridges (i.e. 6,500 pages per cartridge, refer printer manual). Our Compatible Brother TN-346 colour printer toner cartridge pack will deliver quality prints at a discount price and is covered by a full manufacturer performance and print quality warranty. Smarter cost effective Brother printing for you. A premium quality compatible printer cartridge package your office can rely on.